Home / Celebrity / Zodwa Wabantu / President Zuma shows middle finger Zodwa Wabantu Sexual Advice To Women! 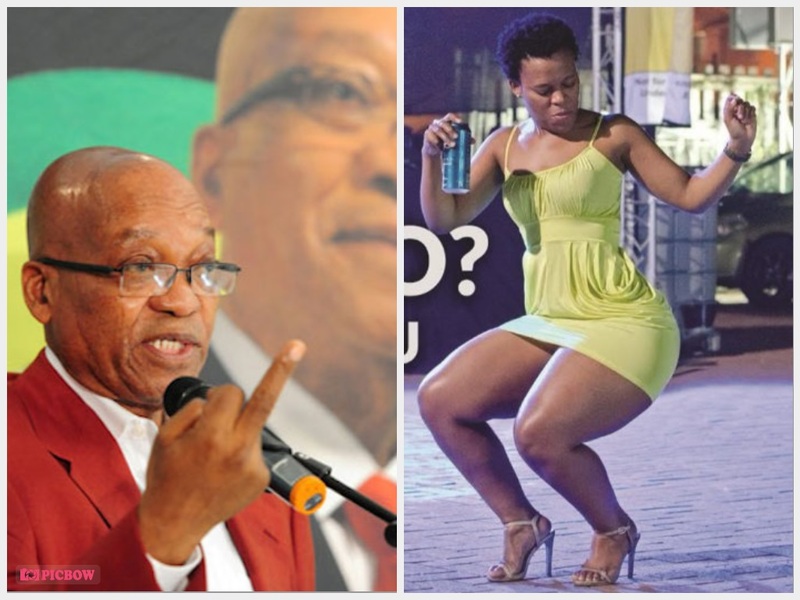 President Zuma shows middle finger Zodwa Wabantu Sexual Advice To Women! President Zuma Not Impressed With Zodwa’s Sexual Advice To Women! According to IOL, the President is not happy with Zodwa’s sexual suggestions that made headlines back in December. While on stage, at an appearance in December, Zodwa encouraged women to use sexual favors to enjoy a better life bragging about how she makes 35k for an appearance. Reports say Zuma wasn’t pleased with Zodwa and rebuked her for her dress sense and encouraging young women to use sexuality to get what they want. He reportedly spoke to ANC spokesperson Zizi Kodwa, who called Zodwa’s manager, DJ Tira, to convey the president’s objections. DJ Tira later took to twitter saying he was going to have a meeting with Zodwa and change a few things in the new year.